Taking a road trip with kids can be stressful and overwhelming. Both my parents and my in-laws live out of state and we visit both several times a year. With 3 kids some car rides go well, while others don’t. 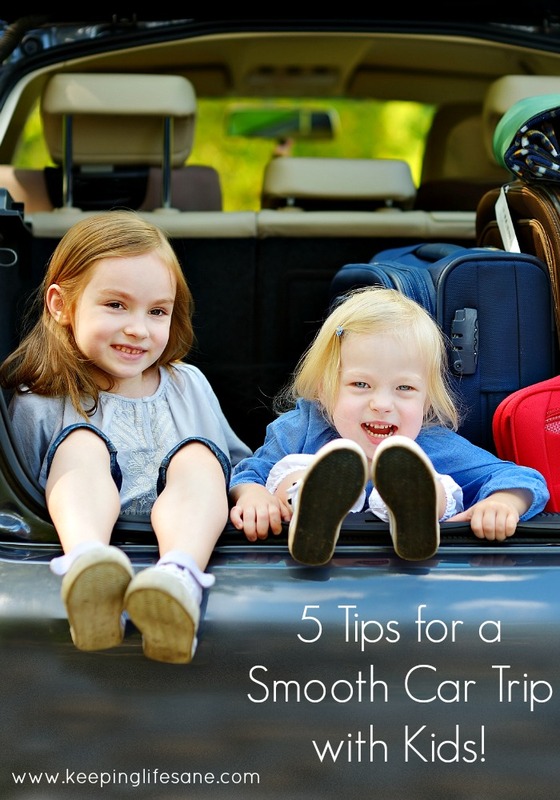 Here are a 5 tips for a smooth car trip with kids. Have snacks– Always have snacks and drinks that you can get to easily without stopping the car. I usually try to bring things that won’t make a mess, like apple sauce, cheese sticks, apples, or cuties. I like to get some special snacks that we usually don’t buy too. I always keep water in the car, but try to limit drinks, so we don’t have as many bathroom stops. Movies– We have a rule that we do not watch a DVD unless we are going somewhere that is over an hour. We have DVD’s that we keep in the car; however, I also like to go to the library and get some new ones. When we watch the same ones over and over, they tend to get bored, stop watching and complain. I try to get movies that I know they all will enjoy. Keep extra batteries in the glove box for your headphones. It is not fun when they can’t hear the last part of the movie. Buy an actual map– When I was little I loved looking at the map and guessing how long it would take to get somewhere. I loved looking at all the places I had been and finding them again. I think teaching your children to use a map is an important skill and they won’t even realize they are learning. Don’t bring a lot of junk to clutter your car. My little girl, whose 4, thinks everything is important to bring: her pillow, 3 dolls, a notebook, a backpack full of blocks, pencils, and broken cars. Limit what they bring because getting in and out of the car can be a disaster. 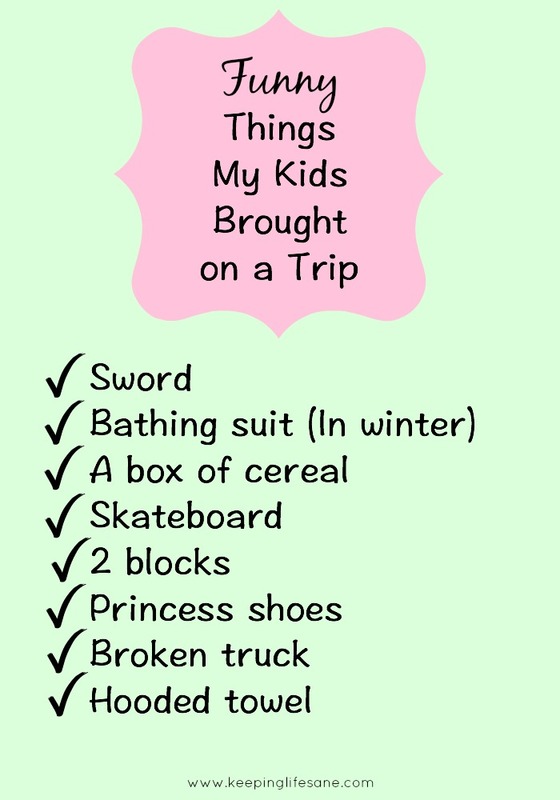 It can take a long time to find shoes and coats when there is a lot of other clutter on the floor board. Try to combine stops. -If someone has to go to the bathroom, try to hold them off. If you can, have lunch, take a bathroom break, and let the dog out all on the same stop. It will save you so much time. You will never get to where you are going if you are making unnecessary stops. I hope your next road trip goes smoothly whether you are off on a fun vacation or visiting family. Great post as road trip season starts! I remember always having to bring 3 books on roads trip. My journal, a story book and a book to draw in. I think the snacks is a good tips for adults as well since gas stations way off the beaten road are limited on nutrient dense snacks.